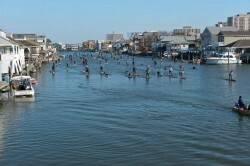 The Freezin’ For A Reason SUP race was held last Saturday (Jan 5th) in New Jersey. 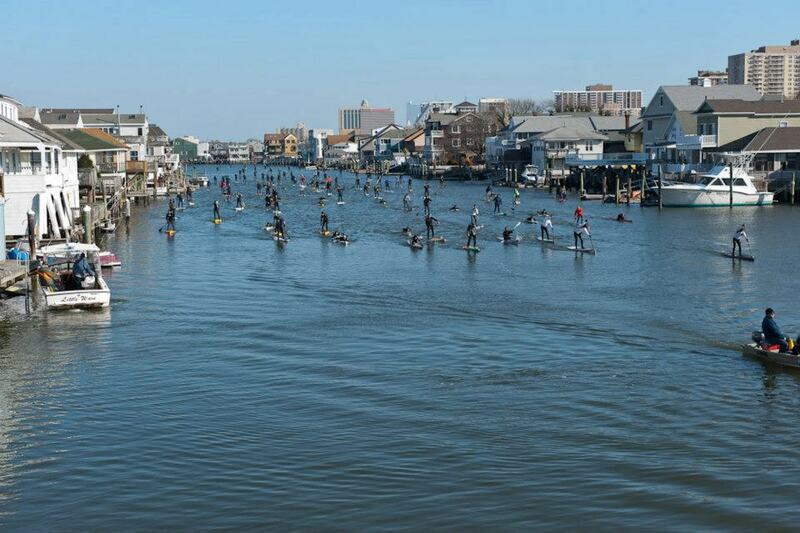 Over 100 paddlers (80 of them on SUPs) turned up to race for a good cause; the event aised $10,000 for victims of Hurricane Sandy. 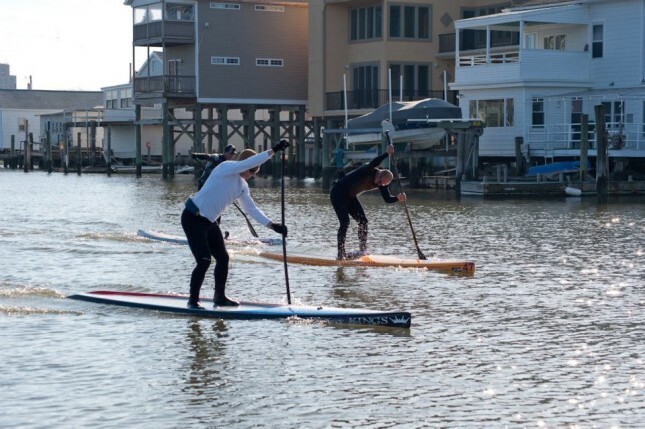 In the men’s division, Steve Dullack took out first in a sprint to the line, while Teri Plunkett won the women’s (on an inflatable, no less). 13 Zack Stiener 01:14.1 12'6"
18 Brian Coen 01:17.3 12'6"
28 Brian Dellet 01:21.1 12'6"
30 Joe Destefano 01:22.0 12'6"
33 Jasper Jarden 01:23.2 12'6"
37 Rich Bubnowski 01:24.3 12'6"
38 Bruce Hunt 01:24.4 12'6"
39 Scott Jordan 01:24.4 12'6"
41 Chris Ryan 01:24.6 12'6"
43 Ben Schaible 01:25.5 12'6"
44 Joe Fox 01:27.1 12'6"
50 Scott Platt 01:29.1 12'6"
51 Gary Galluppi 01:29.3 12'6"
55 Andrew Hunt 01:32.0 12'6"
56 john slattery 01:32.2 12'6"
60 Sonny Dagustino 01:36.3 12'6"
61 Kyle Bourbain 01:37.1 12'6"
62 Tom Kresz 01:37.5 12'6"
64 Ted Leeds 01:38.2 12'6"